One of our favorite pre-war complexes in the area is Scarsdale Country Estates. Set back from the busy street of Central Avenue it is located in its own private oasis. With 154 units on three different streets, Campus, Sentry and Underhill this garden-style property is also pet friendly. Centrally located near shopping, transportation, highways and in the Edgemont School District Scarsdale County Estates has become a favorite among buyers. 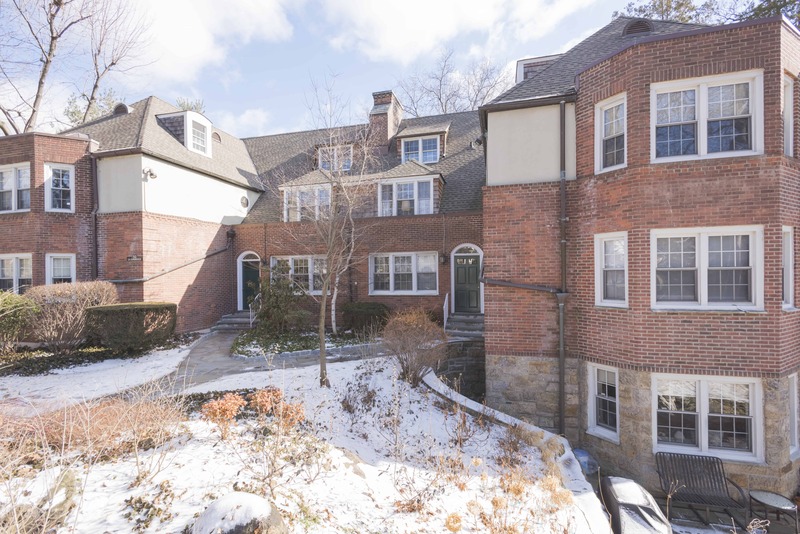 Built in 1939 converted 1983, Scarsdale Countr y Estates is home to studios, one bedroom, two bedroom and five three-bedroom apartments. Currently on the market is a spacious top floor two-bedroom two bathroom unit at 9 Campus Place Unit#SR. Many of the units have been updated and decorated in a lovely fashion. This r 1,250 sq ft, sun-lit unit features hardwood floors, wood burning fireplace, eat in kitchen; updated bathroom and an large master bedroom en-suite. Parking, which is also a number one priority on our clients list, is unassigned and readily available. There is, however, a wait-list for a garage. Jerry Torch, a licensed real estate associate broker at Barhite and Holzinger, has also listed a unit at Scarsdale Country Estates at 52 Underhill Road Unit 1B. It is also an updated, spacious 2 Bedroom 2 Bath. Similar to 9 Campus Place, it features abundant closet space and Extra Storage. 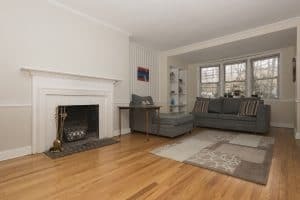 Along with plentiful natural light, renovated kitchen with breakfast counter open to living area; an open dining room and working fireplace in the spacious living room. Both apartments, like most in the complex, are meticulously maintained and stunning. Because of the high demand for the area these units tend to move quickly on the market. It seems that three bedroom units are coveted, but since there are only three on the complex it is rare to see on the market. A two bedroom with more than one bath is also on a wish-list of many clients. And difficult to find in the area. Scarsdale Country Estates boasts many of the amenities that our clients ask for. And asthetics. These charming pre-war buildings hold a particular fondness by our clients. For more information about selling or buying, please contact sales@barhiteandholzinger.com or call 914-337-1312.